It appears that the "powers-that-be" operating the RCA Bo Bice site have greatly improved their site! Previously it contained relatively no information except what the posters in the forum contributed. 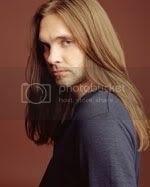 Bo Bice deserves more than what the old site had previously offered. I really like the new look, great photos and "The Real Thing" music! I guess somebody is listening!!! Click the link to hear some Bo!